People often think a rescued dog will be more “grateful”, and therefore more loyal, than other dogs. While that may sometimes appear to be true, in my (totally biased and uneducated) opinion it has more to do with the dog’s character than with the fact s/he was rescued. If a dog's gratitude is your reason for getting involved in rescue, consider this your fair warning. Most rescued dogs adapt back into sharing their lives with humans pretty fast. The bond between us and dogs goes back a long, long way; it’s in their genes to love us, and to put up with our cluelessness. Even dogs who have been abused will respond favorably when re-homed. Then there are the problem kids; the rebellious teenagers of the dog world. No matter how you try to explain it, they’ll never understand that what you’re doing—what you’re trying to do—is for their own good. They’ll never trust you, not completely, and certainly not enough to let you close to them. We have no way of knowing what a dog like this has gone through. The things s/he had to learn in order to survive. Rescue dogs often are escape artists; impossible to enclose. (Remember that dog who dragged her rescuer on rocks? She also chewed her way out of a "foolproof" Sky Kennel.) They come with phobias—of humans, of men in particular, of men with hats even more particularly, of children, of cars, of open spaces, of enclosed spaces, of cameras, of garden hoses, of fire, of… Well. You name it. They might be protective, or territorial. They might not get along with other dogs. But these Rebels Without A Cause also need a home. They need love—human love—even if they don’t know it, or don't know how to ask for it. People who adopt them need to let the dog take the lead on how much loving and how often and when. They need to allow the dog to just be. It takes a special kind of someone to do that. Which is why I'd like to close with a shout-out to long-time blog friend Keith Channing and to new friend Ann Bennett, both of whom are precisely this special kind of people. You're awesome, you two. The other reason rescues might need special homes is because, besides behavior issues, they might have health ones too. You'll find a run-down of those on the Health Issues post. This year I'm a part of D's Company, co-host Damyanti's crew, along with Soumya, Andrea, the über fabulous Vidya—who's doing the challenge with FOUR blogs!! !—and Misha and Samantha, who are both highlighting their soon-to-be-released books this month. Aw shucks, Guilie. Thanks for the mention. We're just doing what we can with the canine life we've been entrusted with. An important distinction. Yes, these dogs also need loving homes but it's stressful for all involved to expect the dog to be other than it is, simply because it was rescued. Love it, but let it be. YES! Oh, Alexis, what a pleasure to connect with a like mind :) Thanks for coming by! I'm a fan of rescue dogs. My daughter's dogs always include a rescue or two - she has never regretted it. She supports Detroit Dog Rescue and in the UK I look out for the Dogs Trusts dogs rehomed in our village. 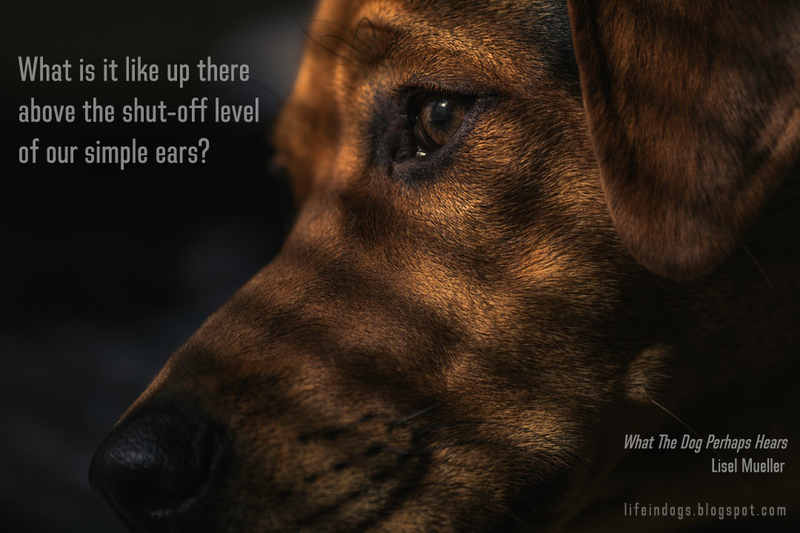 You make a solid point, Debbie; often what drives us to encourage a certain kind of behavior in our dogs is not just a wish for them to cuddle with us but also a sense that a dog who remains aloof is somehow "not right". We feel sorry for them; I know I have. Maybe we need to understand that happiness may reside beyond the stereotypical patterns of behavior. Thank you for this! Good point about the different personalities of dogs and giving them the space they need. I have looked after some wonderful rescue dogs. A couple of them were high strung, but not aggressive or otherwise problematic. Our Dalmatian, while affectionate with us, had no interest in other people fussing over her. So right, Debbie... It's not only rescue dogs (or animals) who might not fit established patterns of behavior. As you've pointed out so well in your Breeds A2Z series, each dog comes with his or her own personality and ways of understanding/interacting with the world. Too right, Robin. Beyond breed, beyond nature and (vs?) nurture, I do believe every animal has his/her own personality. Exactly like people :) Thanks for making this point! 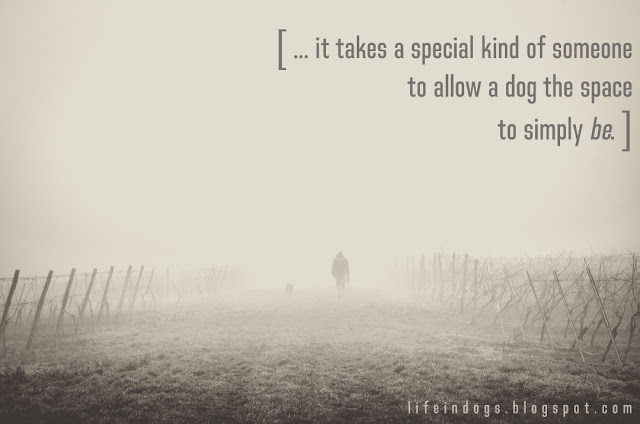 I've always felt that rescue dogs come to us with grateful hearts. I feel like I've experienced that with the dogs that I've rescued. I always tell people to adopt from shelters because the shelter dogs are grateful to be taken out of that environment and given a good home. Nothing like an opposing point of view to enrich the discussion, Michele :) Especially from someone with as much dog experience as you. It's hard to tell for sure, I guess... not until we learn to speak (or think) Dog, haha—but the experience of a dog's gratitude, whether real or part of our anthropomorphizing imagination, is an awesome one, and I'm glad you've had it. 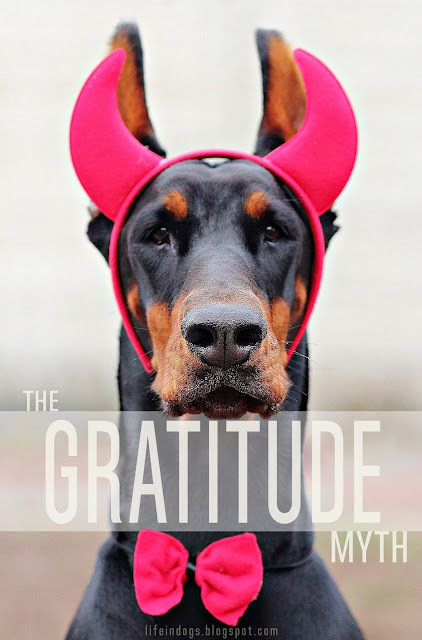 I suppose the intention of this post wasn't to argue whether dogs can or can't feel gratitude, but rather to make clear to potential rescuers that it shouldn't be the main motivation for rescuing, or for adopting a rescued dog. Nicely put, Kristin! I agree—and great example to illustrate. Thanks for the visit! Dogs aren't humans. So are not going to reciprocate feelings exactly the way we might expect. They do so in their own dog ways. I like how you remind us, dogs have their own personalities too. Some are friendlier, others are more reserved. Exactly, Jeffrey! And, as you say, dogs come with their own personalities, their own quirks—just like humans. Love your dog blog! Because, dogs. ;-) And gratitude is perfect for them. No creature shows their gratitude like a dog! Gratitude was my "G" word too, by the way. I never thought that people actually expect dogs to be grateful - that's like expecting my cats to be grateful I feed them. They aren't grateful, they simply know I will feed them - no questions asked. Another great post!! Thanks! Yeah, I'm with you on this. Gratitude is a human emotion, and I don't think it translates, not exactly anyway, into the non-human world. Great post Guilie thank you. Pretty deep - and it makes me think of how this is in our attitude to gratitude with humans, i.e. that we expect people to be grateful if we give them a helping hand. That's a generalisation I know, and anthropomorphism too ... but it does apply. If we as humans extended kindness and compassion to even those difficult ones from the shelter or if we find them, we will find that we can do with that humans too. (the adolescents may be tricky). People's comments are so thought provoking as is your response back at them, so this is also a bonus. And just a thought - I've read of where dogs are taken to eg retirement homes or other such facilities and so totally brighten the others' day - and the dog just laps it up. You make a brilliant point, Susan: we not only expect gratitude but we expect it to be shown a certain way—and not everyone, human or otherwise, will express it, or any other emotion, the same. How interesting. And yes, I think you're right: the exercise of extending a helping hand and expecting nothing in return will sort of snowball and permeate ever deeper into our behavior. What a lovely thought... Thank you! My rescued dog is afraid of men with hats -- I had no idea that was a common thing! Great post. Yeah, it would be foolish to think that dogs can put 2+2 together and have any idea what the future holds for them if you don't rescue them. Gratitude on that level is a human thing. You're absolutely right about it being personality. People should educate themselves about the breed and get to know the dog before they adopt. This was a great post and kudos to people who care for these dogs. Our Wallace is special needs, as I call him since he is so scared of the outside and other people.